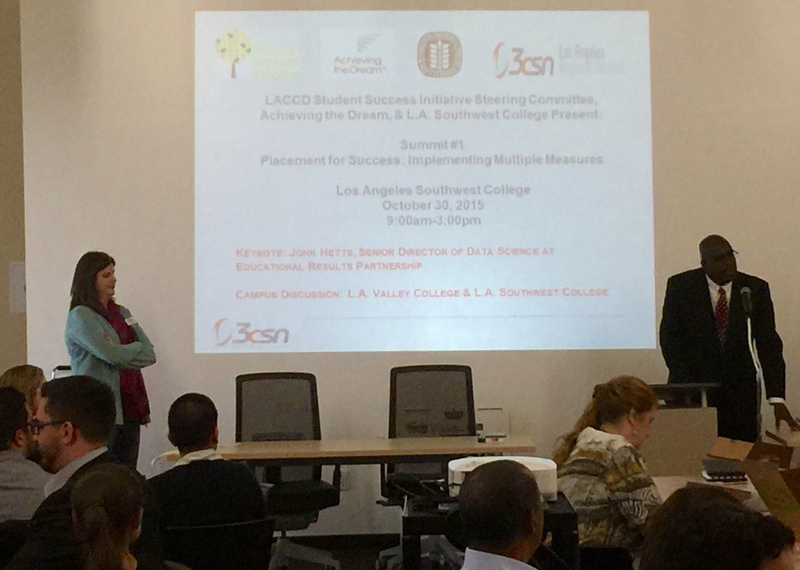 The Los Angeles Community College District, in collaboration with the Student Success Initiative Committee and Achieving the Dream, held its first planned professional learning summit, Placement for Success, on October 30 at Los Angeles Southwest College. 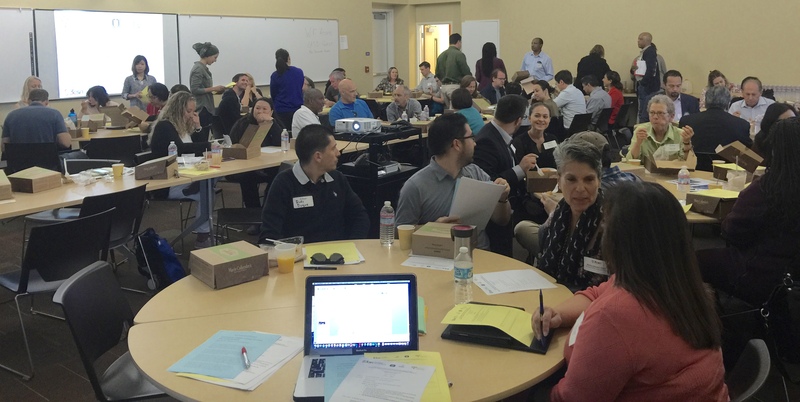 The summit had more than 50 participants from 19 campuses across the region, including Career Ladders Project and LACCD administrators. Six out of the nine LACCD colleges were represented and colleges participating outside of LACCD included Cerritos, El Camino, Southwestern, Fullerton, NORCO, Grossmont, Riverside, San Diego City College, Irvine Valley, El Camino College Compton Center, Antelope Valley, Palo Verde, and Moreno Valley. 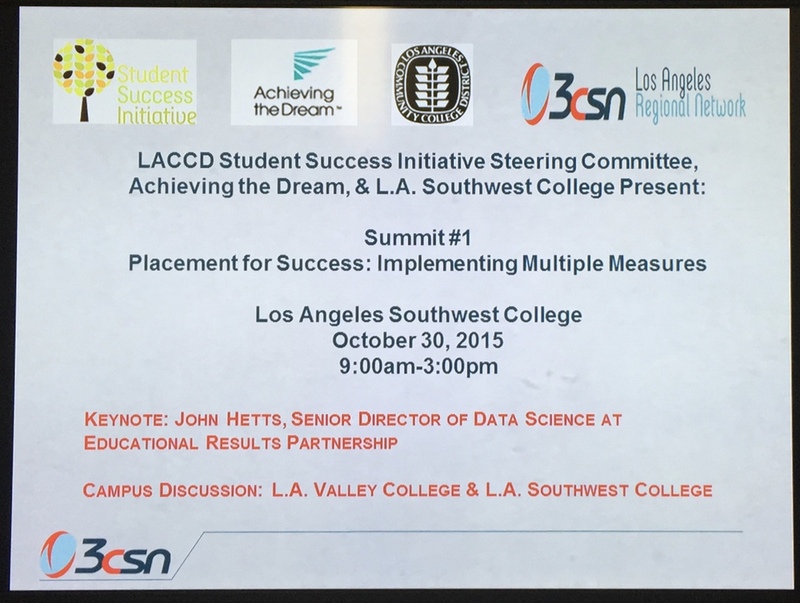 The summit focused on the importance of placement practices within our colleges and the ways in which practical placement can lead to student success. Participants noted ways in which their campuses are addressing assessment and placement and discussed their concerns and challenges regarding implementation of policies and practices that thwart student success. They expressed interest in MMAP data and sought information on how best to prepare students for community college to transfer, and beyond. Guest speaker, John Hetts, Senior Director of Data Science at Educational Results Partnership, discussed his recent research on assessment and placement within community colleges that can lead to evidence based decisions on our campuses. 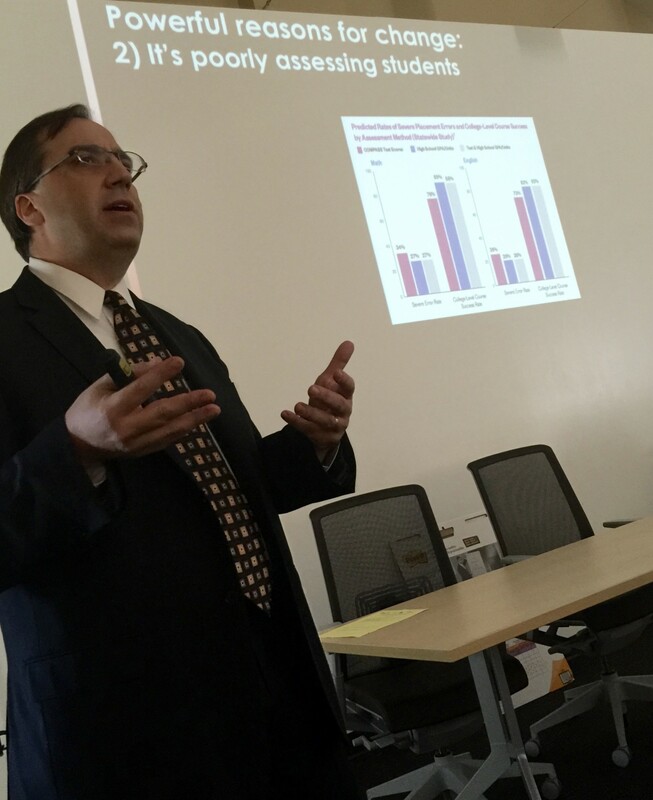 He noted the importance of examining beliefs about students’ capabilities and capacity to learn, using equity plans to change outcomes, improving multiple measures, using MMAP to lower cut scores, and creating more opportunities for collaboration with K-12. The campus panel, comprised of representatives from L.A. Valley College, L.A. Southwest College, Saddleback, and Irvine Valley College, discussed innovative practices their campuses are using to move the needle in this area, including orientations, assessment preparation, basic skills tracking, campaigns to raise awareness, and coalition building. 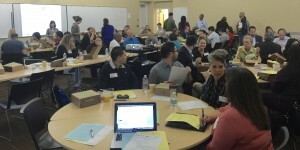 Participants expressed the need for more collaboration with counseling and with K12 and the California Community College system.